The First Baptist Church Counseling Ministry is centered on the belief that the Bible has real answers for the real problems that people face in life today. It involves counselors coming alongside individuals, understanding their needs, and then using the Word of God to provide hope and the tools to help them handle the challenges of life in a manner pleasing to God. 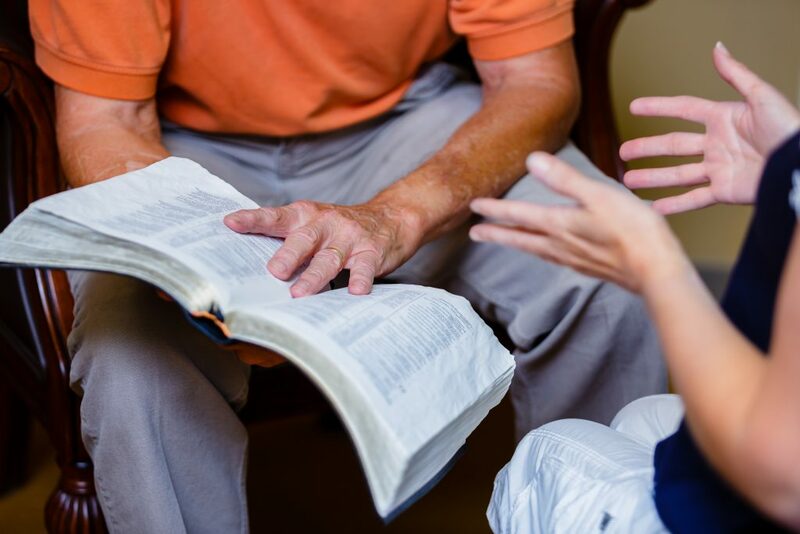 Each of our counselors has completed a rigorous certification program and is a Certified Biblical Counselor from the Association of Certified Biblical Counselors (ACBC). The coordinatorr of the Counseling Ministry has a Master’s Degree in Biblical Counseling (MABC). There is no charge for the counseling and you do not need to be a member of FBC to receive counseling. With few exceptions, counseling is conducted in a designated counseling room at the church Monday through Friday by appointment. To schedule a confidential appointment, call 912 489-7925.